on	Mar 20, 2016 • Product Categories : Mythologie(s) et Presse. • No Comments • Product Tags : Captain America, Mythologie(s), et Presse. on	Jan 5, 2016 • Product Categories : Comic Box et Presse. 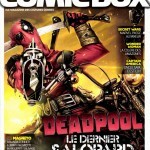 • No Comments • Product Tags : Captain America, Comic Box, Comics, Deadpool, Spider-Gwen, Steve Ditko, et Wonder Woman. on	Fév 20, 2014 • Product Categories : Presse. 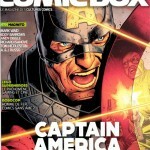 • No Comments • Product Tags : Captain America, Comic Box, Comics, et Presse.